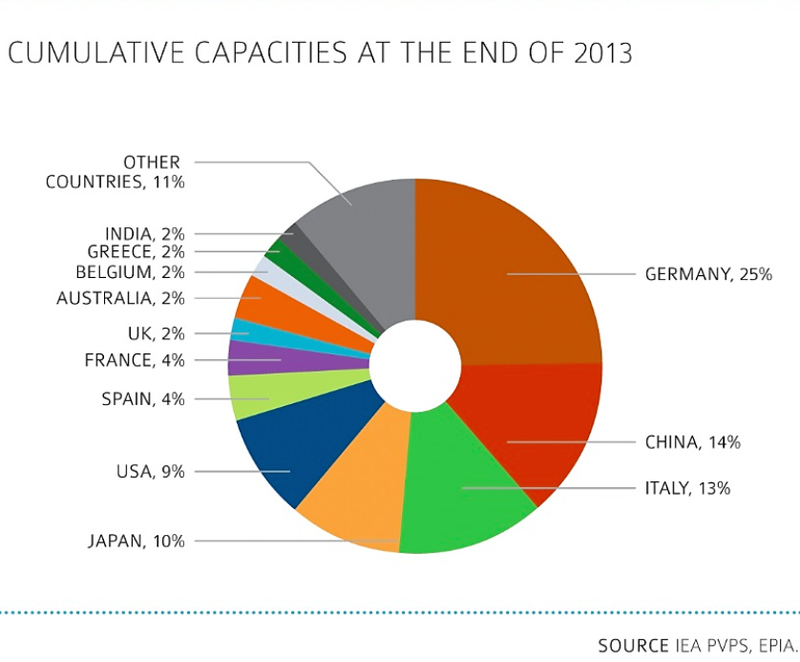 IEA Archives - Solar Love! 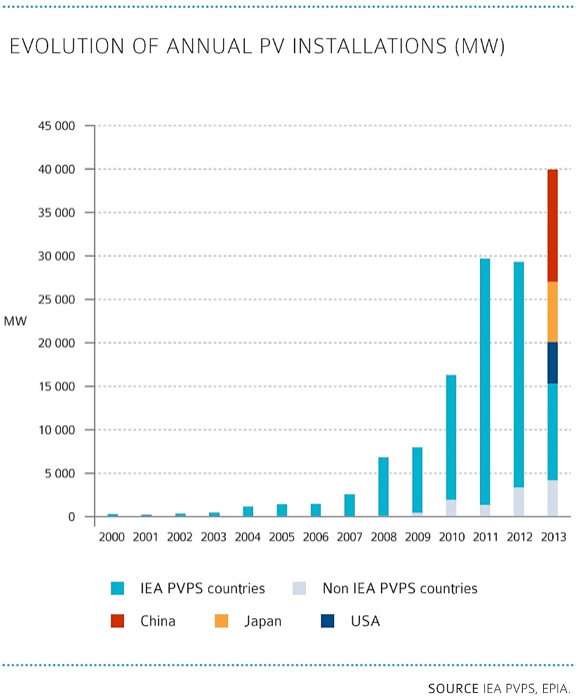 Home Tags Posts tagged with "IEA"
Total global solar photovoltaic capacity is fast approaching the 100 gigawatt (100,000 megawatt) milestone, according to a new report from the International Energy Agency. 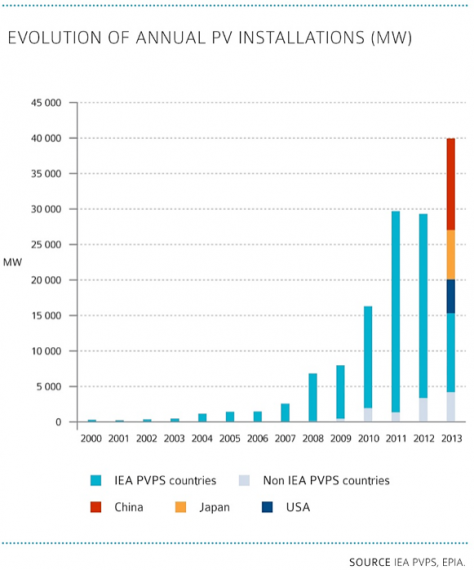 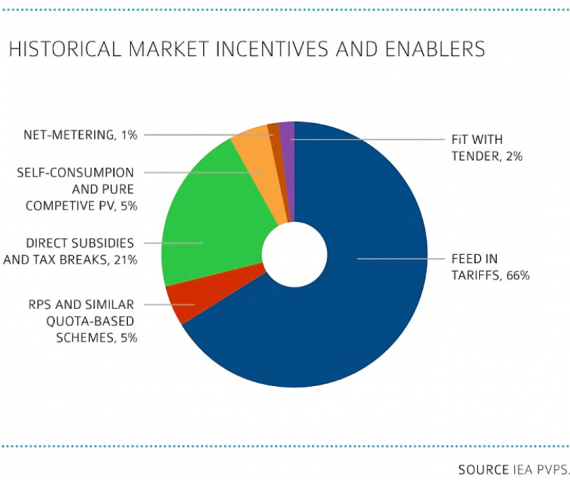 The report notes that even with some uncertainty present about the future state of photovoltaics in the European and Chinese markets, that global installed capacity will almost definitely hit the 100 gigawatt (GW) milestone within the year. In fact, it likely already has, probably sometime within the first quarter. 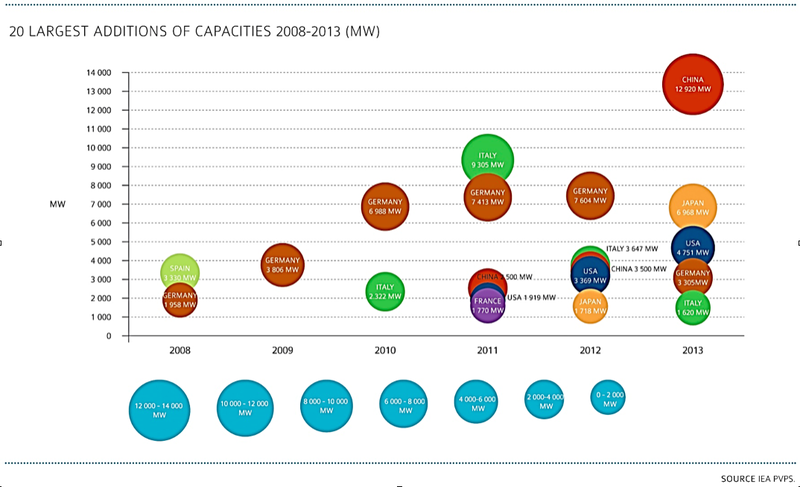 Furthermore, here’s a fact that is not well known: more solar PV power capacity was installed in 2011 than power capacity from any other source. 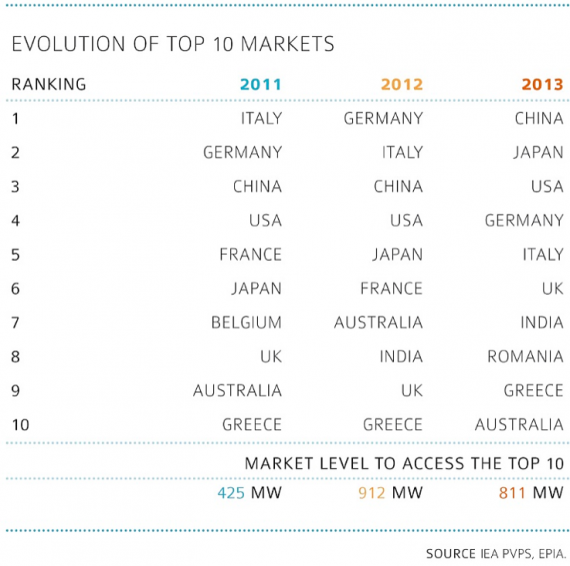 And the same was true in 2012. Solar panels in the Alps. 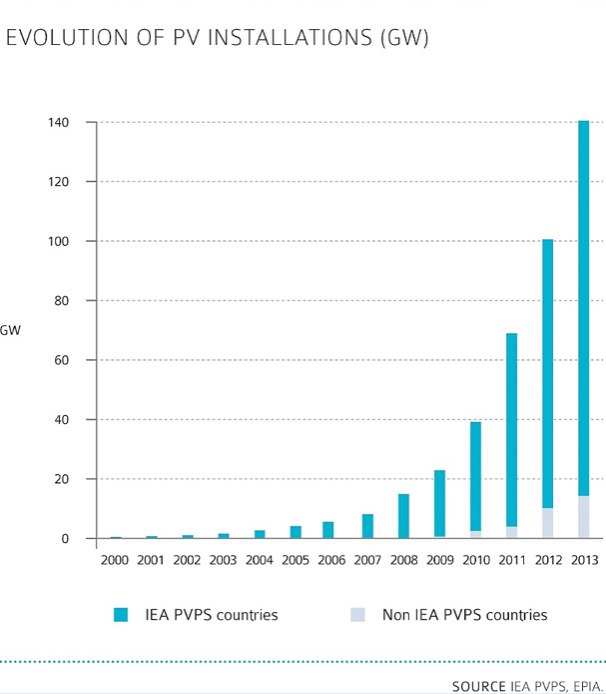 The new report states that a total of 28.4 GW of new solar photovoltaic capacity were installed during 2012, which brings total global capacity up to 89.5 GW. 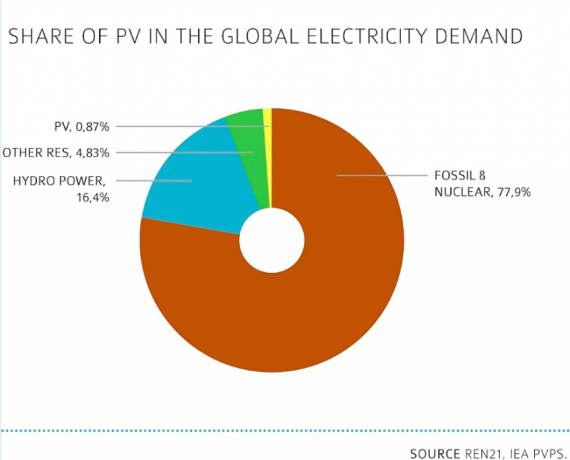 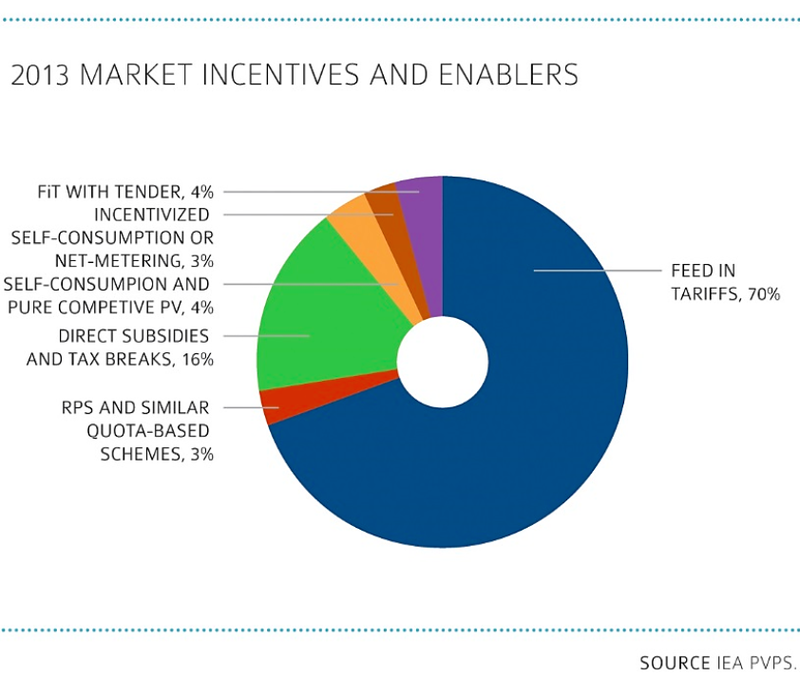 There is some disparity, though, between the new IEA report and other recent analyses, such as those from the market research firm IHS, and NPD Solarbuzz. 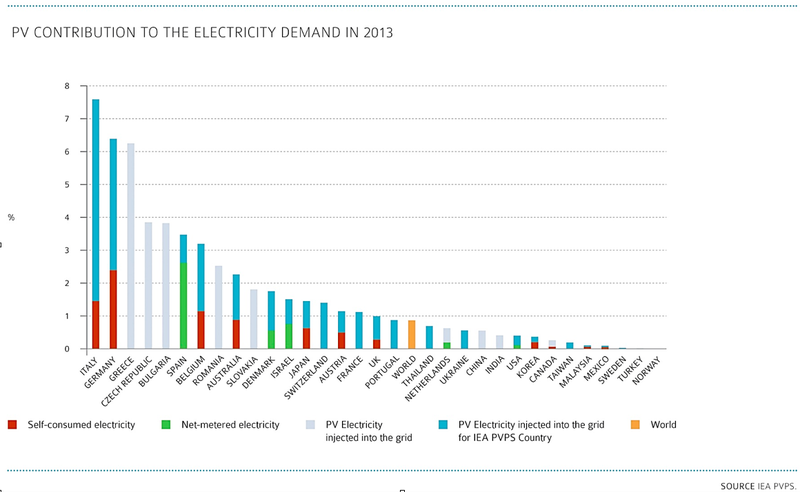 IHS’s newest report estimated global PV installations in 2012 at 31.4 GW, and NPD Solarbuzz estimated 29 GW. Continuing on with the report’s contents: Europe currently represents 59% of the global market, but rapid growth in the Asia Pacific region and the Americas is lessening that difference. 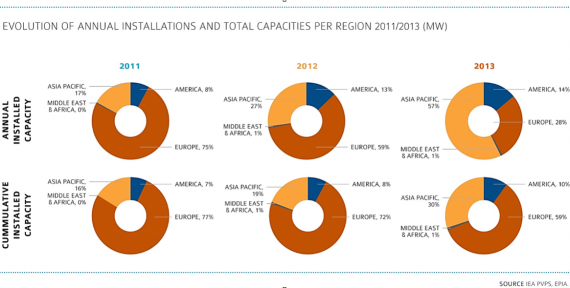 The Middle East and Africa are both regions “in development,” but with great potential. 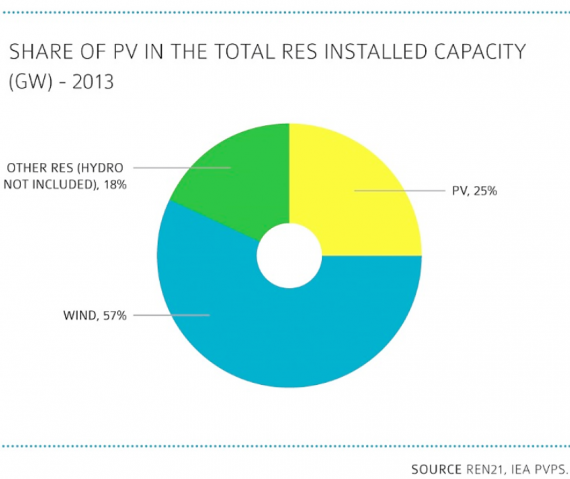 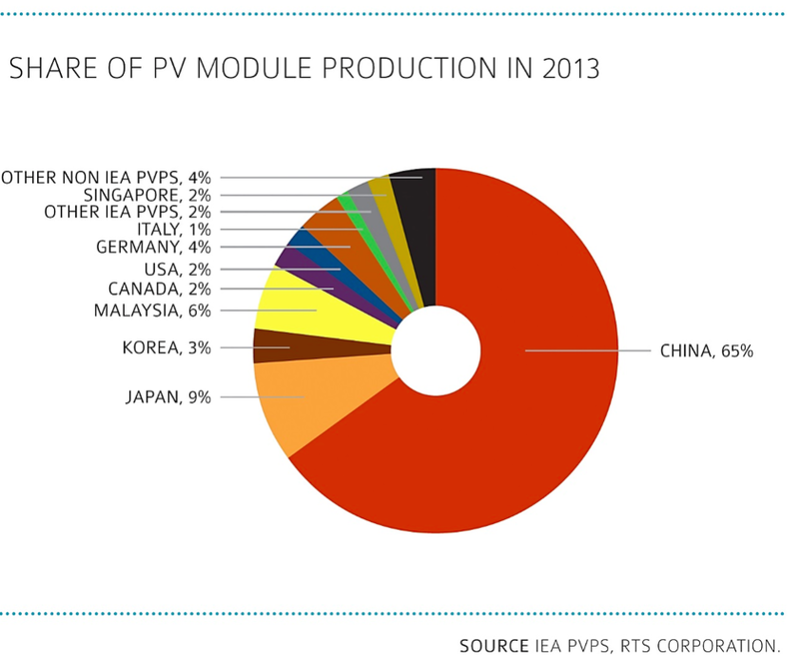 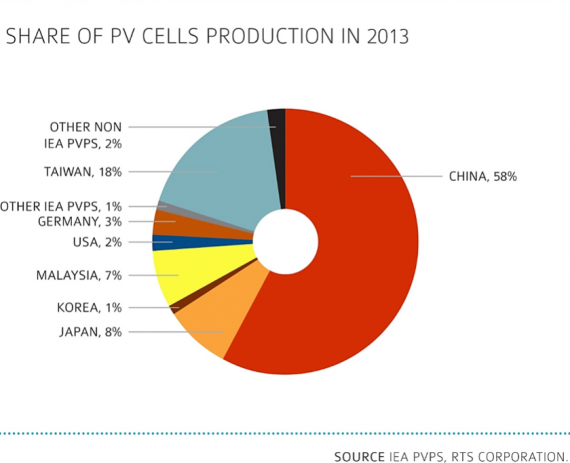 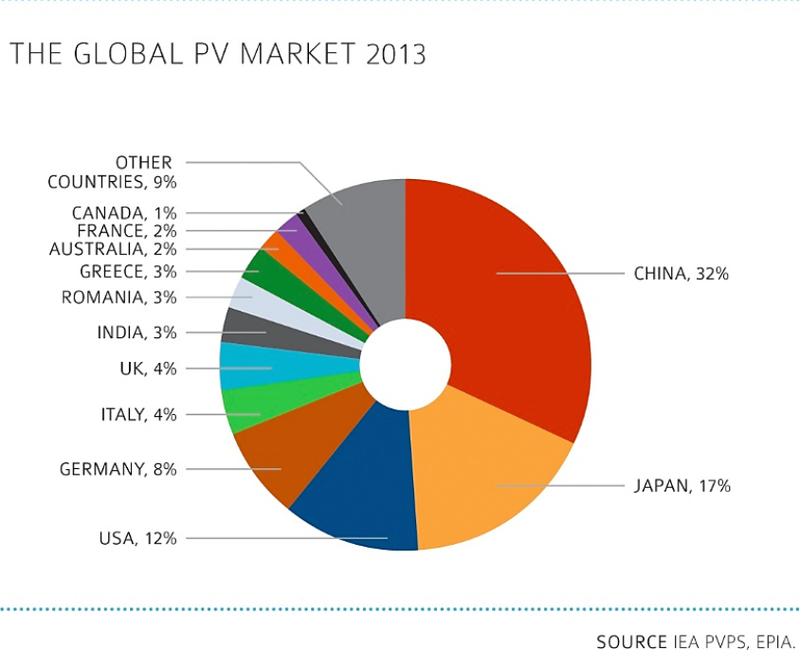 China was the second-largest PV market for new installations in 2012, beating out the US and Italy. 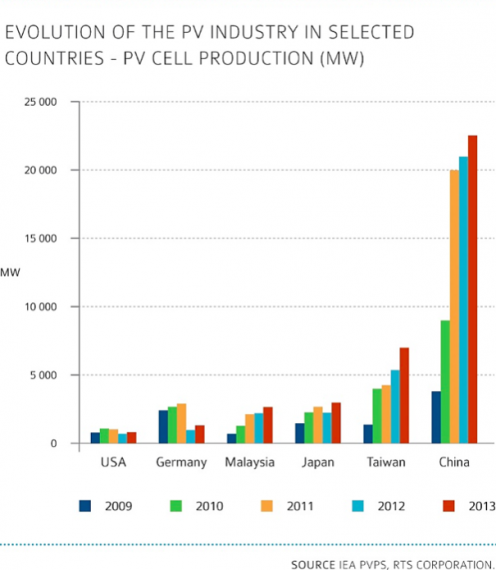 And China is now the third-largest PV market in terms of total capacity.